Tuesday, November 13, 2018 at 9am. Tuesday, December 11, 2018 at 9am. The Darke County Board of Health establishes fees for 2018. Authorized by Senate Bill 136 and House Bill 700 and Section 3709.09 of the Ohio Revised Code. 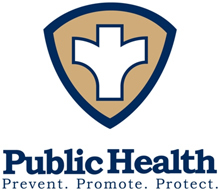 The 2018 Fees have been approved by the Darke County Board of Health on December 5, 2017.